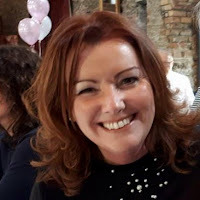 Kilcullen resident Tanya Flanagan is being honoured by the French government for her work in promoting modern languages in the Irish school system. Tanya teaches French, Italian and Communications at St Farnan's Post Primary School in Prosperous. She was previously National Coordinator of the Modern Languages in Primary Schools Initiative with the Department of Education and Skills, overseeing all aspects of the programme’s work. A founding member of the One Voice for Languages advocacy group, Tanya started her career lecturing in the French and Italian departments in NUI Galway, close to her native home of Ballygar. She has also worked with the Cork College of Commerce. She will receive the Ordre des Palmes Académiques from the French Ambassador to Ireland, M Stéphane Crouzat.